Do you use an Apple Watch or a Garmin Watch to track your swim? SWIMTAG now allows you to import swims from both of these devices. 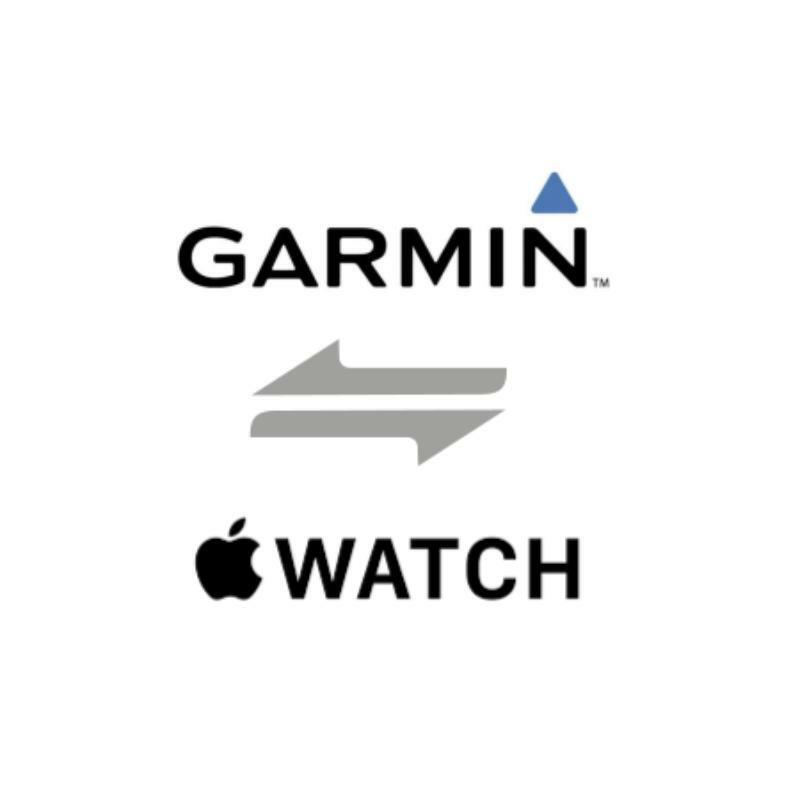 For Garmin, you can import a .fit file from your Garmin account, and for Apple Watch import a swim workout from the last month from your Apple Health account (you must have linked this with SWIMTAG first). All swim data is calculated outside of SWIMTAG but once imported you can adjust the swim using our Swim Editors if necessary. Imported swims will count towards your Challenges and Goals as well as being included in your account stats. If your device records your heart rate during your swim this will be visible on your swim graph on our desktop site. Importable data also include any open water swim recorded on your Apple or Garmin device, the open water distance will count towards your challenge distances and a route map will be visible on your profile to replace the swim graph. Tonbridge Swimming Pool needs your help in a Pool Battle to swim the Suez Canal Swim against 1 other pools. Click the link below to join your team. You have been invited to swim the Swim the Thames challenge by Christian Guyton at tmactive. Go to the Challenges page to view this invite. Attention all SWIMTAG users! tmactive are gathering feedback about your user experience, with a view to improving SWIMTAG at our pools for everyone! Please complete this short survey to let us know what you think! You have been invited to swim the Jersey Island Swim by Christian Guyton at tmactive as part of a team. Click the link below to find out more. New to SWIMTAG: High Performers! SWIMTAG users at our tmactive pools can now qualify for new 'High Performer' status! In the coming months, High Performers will have access to a new tier of more difficult challenges, some with rewards for top performance! Users are requested to set their data protection permissions to allow access in order to qualify for High Performer status. We will not use your swim data for any other purpose. You have been invited to swim the Isle of Wight by Christian Guyton at tmactive as part of a team. Click the link below to find out more. Starting in the new year, we will be rolling out our new TIERED CHALLENGES on SWIMTAG! Aim high, and you can become a top-tier user, with access to much tougher challenges - or if you love to swim but prefer a lower intensity, there will be challenges exclusively available to you too! Remember to update your permissions if you wish to participate in these challenges; users with private accounts will not be able to enter these new challenges. We will still be running regular challenges open to everybody, of course! Congratulations to all our SWIMTAG swimmers who participated in challenges or beat their personal bests in November! At Tonbridge Pool, swimmers completed more swims and swum for longer on average than in October - keep it up! You have been invited to swim the Venetian Canal Tour by SWIMTAG Champion Christian at tmactive as part of a team. Click the link below to find out more. Congratulations to the Tonbridge Swimming Pool team for winning the Grand Canyon Swim Pool Battle! The ten swimmers from Tonbridge Pool narrowly beat the Larkfield Leisure Centre team in a hard-fought distance battle. You can now view a Certificate for your challenge once you complete the distance. 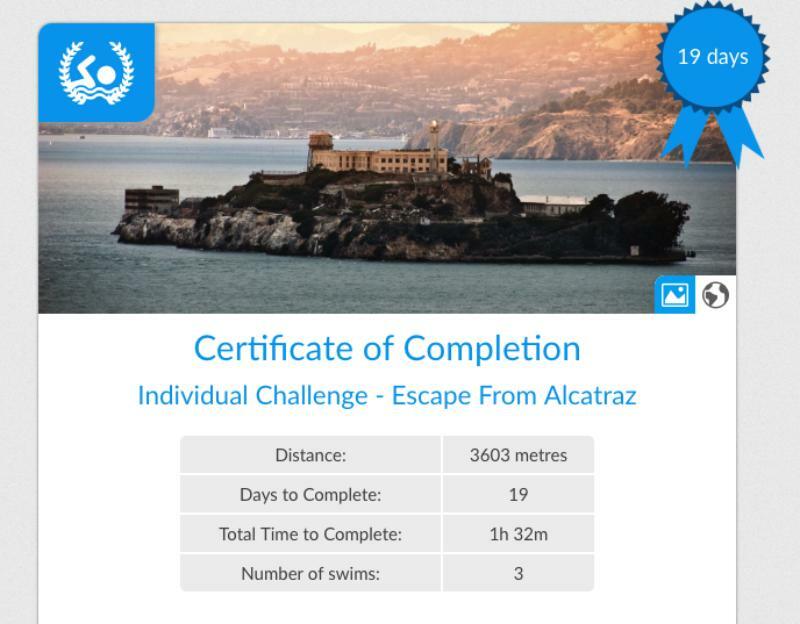 This gives you a summary of your challenge and allows you to share this with non-Swimtag friends on social media. To view the certificate click the link on the bottom Challenge Complete news feed notification, 'share' the certificate to enable the share link. Tonbridge Swimming Pool needs your help in a Pool Battle to swim the Grand Canyon Swim against 1 other pools. Click the link below to join your team. Did you know you can now share your swims with your non-SWIMTAG friends? Simply click the Share icon on the news feed notification or choose 'Share' on the export menu of the profile page to enable a public link for your swim. You have been invited to swim the Iron Man Distance challenge by Samantha Watson at TM Leisure Trust. Go to the Challenges page to view this invite.